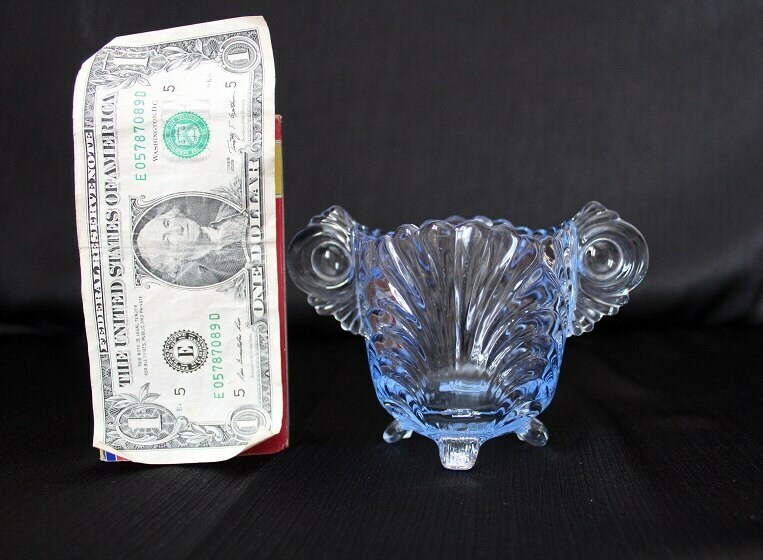 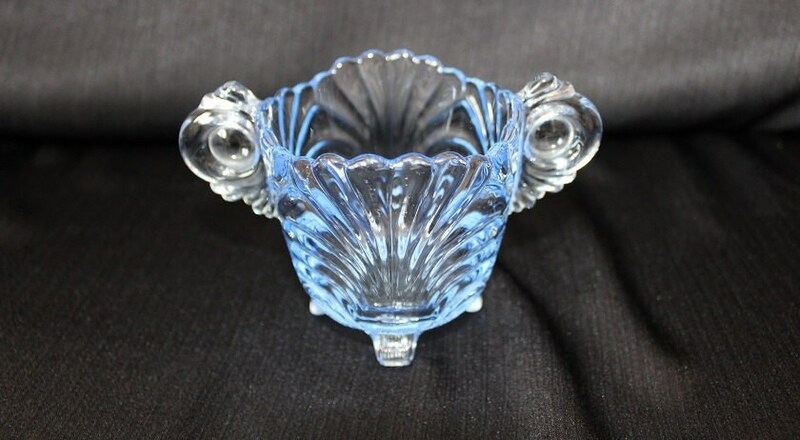 This vintage open sugar bowl is made by the Cambridge Glass Company in the Caprice pattern between the 1940s - 1950s . 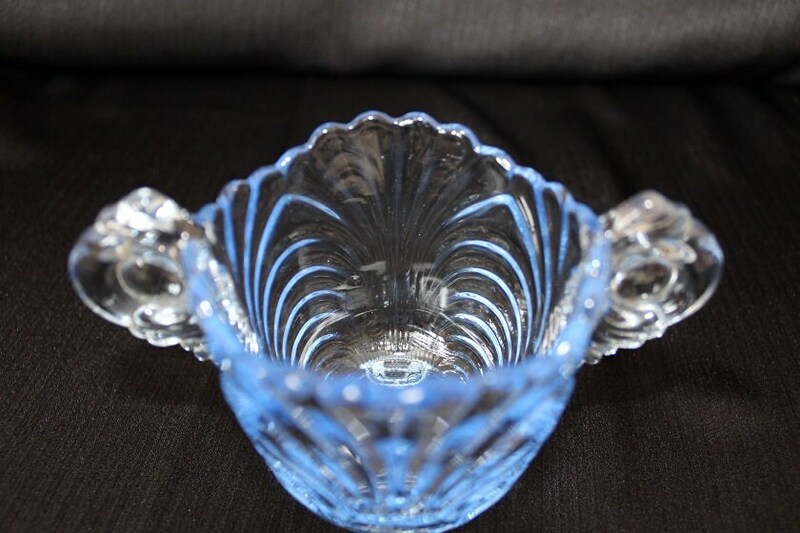 It is an all-overall blue color with a pressed glass scroll design. 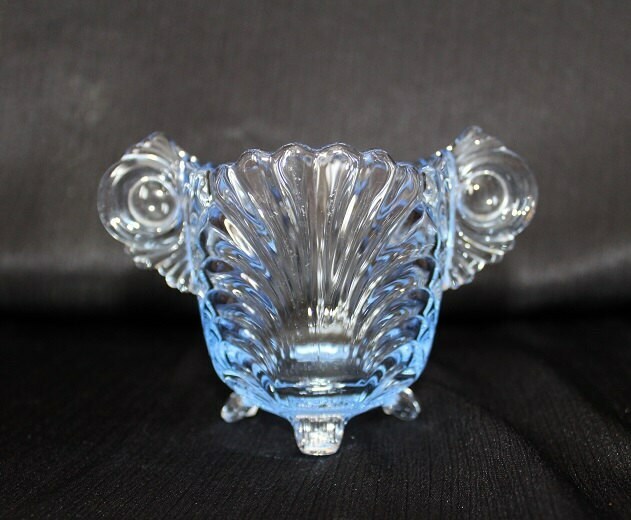 The footed sugar bowl has scrolled design handles on each side. 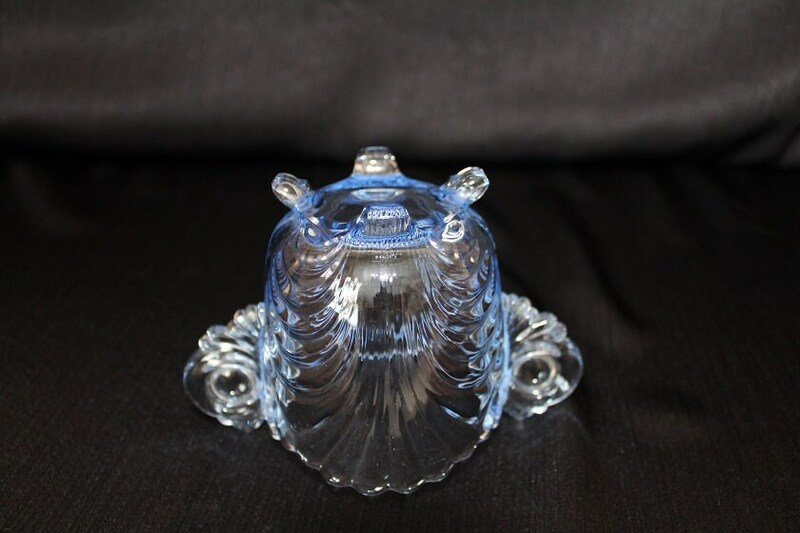 This sugar bowl is in excellent condition with no chips or cracks.